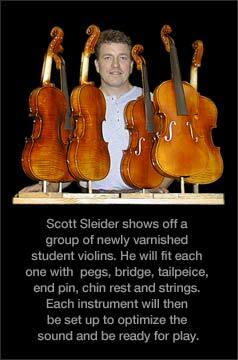 Scott Sleider student violins are quality instruments for those wishing to upgrade their experience. 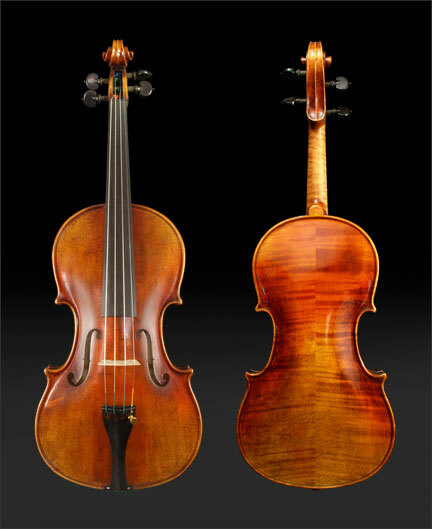 Violin prices begin at $1,200 and range up to $20,000 for a new hand-crafted instrument. Bows begin at $150.00 and range up to $5,000. Please ask about our viola and cello prices. With handsome appearance and quality construction, these affordable instruments will please the most discriminating student. Scott Sleider on Student Instruments: In the early 1980's I noticed a decline in the availability of the high-quality student violins. It was becoming more difficult to acquire good instruments that were not covered in a varnish that was hard, mass produced, bland and having an orange automobile-like coating. I decided to import unfinished European instruments and incorporate into them what I found missing in the violins currently on the market. The look I was after was of the early 1900-30 German and French violins and violas. They were nicely shaded to accept the nicks and dings an aspiring student would inflict upon them, thus keeping up their appearance and taking well to aging. Along with my custom varnishing, I finalize the thicknesses, bridge, fingerboard set up, all with the same attention to detail as I do with my own violins, thereby offering a unique instrument that an advanced young player can work and grow with. Some teachers in the Milwaukee area use these violins as their primary instrument. One instrument was used for over a decade in the Milwaukee Symphony Orchestra. I've also imported the finished Gottfried Lutz labeled cellos since 1990 and complete the professional setup in my studio. They are used by aspiring, advanced students and adult amateur players. These instruments provide a significant voice upgrade for the student, making it unnecessary to buy into the higher-price ranges to gain this result. Acquiring a new violin is much like embarking on an adventure. The new instrument is usually for a student in a transitional stage in their development, either a beginner, intermediate, or an advanced player. There are apprehensions of not making the proper decision in selecting the optimum violin for the players immediate and future needs. This process shouldn't be a dilemma for the parent and student; rather, it should be an enjoyable process. At the end you should come away with a greater understanding of violins. Violin values are based on who made it, what condition it is in, and how much of the instrument is original. In other words, if someone takes a 100 year-old commercial German violin worth $500.00 and re-works the inside, or re-varnishes the violin, you have a violin that has been devalued, as the varnish is not original. This would apply to all parts of the violin. When looking at an older violin, inspect it for cracks that haven't been repaired well. This can be done by holding the violin surface up to a light and using the reflection off the varnish to see irregular ridges where cracks have not been rejoined properly and may pose problems later. Three places sometimes overlooked are under the tailpiece, fingerboard, and chinrest. If you find any problems, ask the seller when the repair was undertaken and if the cracks had cleats applied from the inside. An older violin, not in a good state of repair, will sound and play very different after it is put into good condition, it will have a brighter voice, so it is a gamble to acquire an instrument not in tip-top shape. Look for neck angles on different violins to compare the acuteness to see if a neck is too low, which would become difficult to the player as they advance up the fingerboard. In choosing a violin, today's players are benefiting from the fact that there are higher-level violins being built now compared to several decades ago. 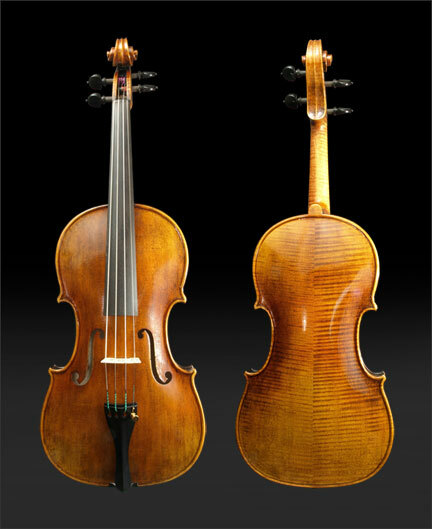 Even the mid-level commercial violins of today are built better than they were 100 to 125 years ago.